ReMode was just a couple of weeks ago but we are still reeling from a fantastic few days in LA! ReMode focused on fashion innovation, investment, and sustainability, all things we at GFX absolutely love! The line up for ReMode was amazing with keynote talks from founders and top executives of major sustainable fashion and Tech companies, like Kering, TheRealReal, Everlane, Amber Vallete and Google ATAP, to name a few! These one on one talks are definitely worth flying to California to attend, but weren’t the only highlights over the two day conference. Day one started with an impressive talk from NGO fashion activists, including our Patrick Duffy! It was awesome to hear from this panel of activists who have spent years fighting for sustainable and ethical fashion. They focused on the importance of collaboration, especially in the non profit sector, to achieve their goals in sustainable fashion! The technical element of ReMode was truly inspirational! There were some leaders in the tech industry like Laurence the IBM Global General Manager of Consumer Goods. She had a great talk at ReMode about the importance of AI and blockchain to the future of the fashion industry. Probably one of my favorite talks, an intimate with two of denim’s legendary designers. I appreciate their candor on their effect on the denim industry, including pollution and now sustainability. It really brought home the responsibility of designers and brands to lead the sustainability movement. This panel was filled with industry legends! People like Julie Gilhart with years of experience at Barney’s and now the success of her own consultancy, and Laurent Claquin the head of Kering Americas. 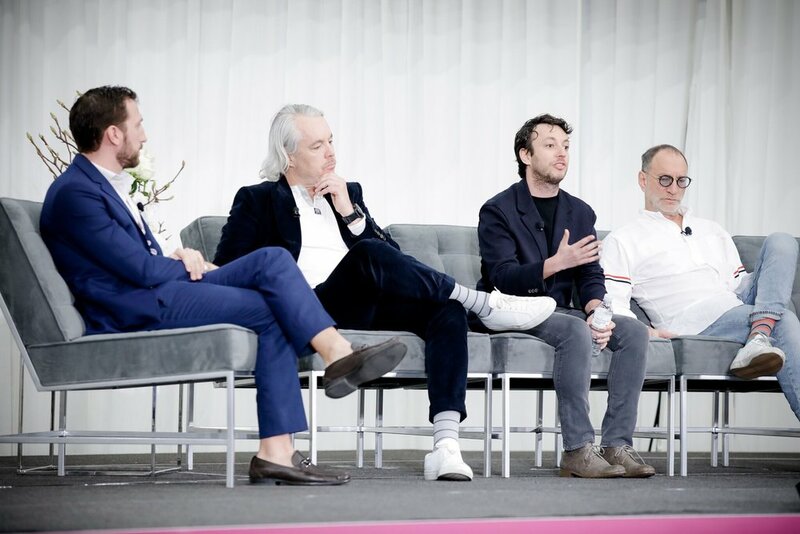 From this panel it is clear that the luxury sector is focused on sustainability; as Laurent pointed out sustainability is quality, something you should do anyway. Learning about how to invest and grow in a fashion brand from the men behind the money is priceless to any designer. The gave advice on how brands can use capital strategically, like inventory and marketing. A great piece of advice from Gary Wassner, he mentioned that even with all the capital, a brand needs to have a strategy behind it. 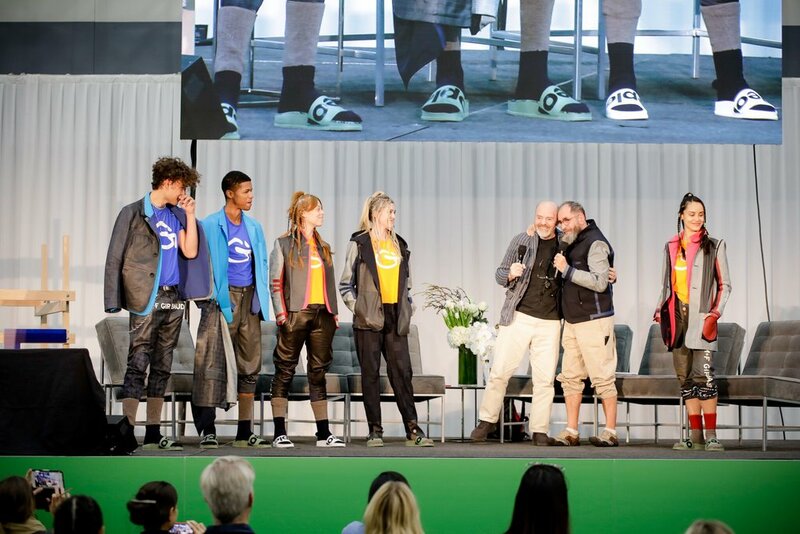 This was a fun talk with an interesting look at innovation in fashion. Listening to Amanda Parkes, from Fashion Tech Labs, Asher Levine, Jifei Ou, from MIT Media Lab, and Viktoria Modesta a bionic artist, was eye opening. I had never thought of using fashion and tech in the way they have developed and used fashion. Besides panels and talks ReMode was filled with interesting booths like the Keen footwear robot that made shoes throughout the conference! A few other booths stuck out like Isko with their denim art installations. Even though booths are so interesting there were a few other interactive spaces, like the GFX swap (of course), Girbaud’s Habit Habitacle, where you can see what you can do with your excess clothes and how they can be used, Galerie LA, where you can shop according to your Sustainable Development Goal, Google, where you could play with the tech in the Jacquard jacket, and Le Souk, where you can peruse the newest in sustainable fabrics! If that was not enough ReMode even had workshops, the highlight for me was creating an Isko denim plant, mostly as I manage to kill all living plants. There was also focused workshops for developing brands, like investing from Chase and HSBC as well as Parsons had detailed workshops on how to build CSR into your brand. As I have seen other sustainable activists saying ReMode is the conference we all need. I have to agree, it is a chance for sustainable brands from startups to luxury labels to be able to see where the industry is going in sustainability, tech and investments. But also to discover different aspects of sustainability, like waste management, that they can use to improve their sustainable practices.